The 2016 offseason began with a bang, as two of the biggest trades in recent NHL history went down within minutes of each other on June 29. But since then, apart from the occasional move, the trade talk around the league has gone largely quiet. Or has it? After all, just because blockbuster deals aren’t being made doesn’t mean they’re not being discussed. 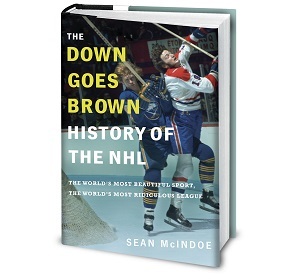 Hockey history is filled with monster trades that almost happened and that we only find out about after the fact. We covered five of the biggest near-misses a year ago, with names like Steve Yzerman, Corey Perry, Pavel Datsyuk, and even P.K. Subban and Carey Price (in the same deal). Today, let’s look back at a few more. But first, the obvious disclaimer. While all of these deals were reported by reasonably trustworthy sources, we’ll never know how close they actually came to happening. When it comes to the “near” in near-miss, mileage may vary. But with that out of the way, let’s get to the fun stuff. Here are five NHL blockbusters that apparently really did almost happen. Until the one-for-one trades started flying, Stamkos had been the focus of the 2016 off-season. His stay-or-go decision with the Lightning had dragged on all season, and he was reportedly the top target for several teams if he’d made it to free agency. He’s widely considered one of the best players in hockey. So it’s easy to forget that, at one point early on in his career, Stamkos was viewed as a bit of a bust. The top pick in the 2008 draft, Stamkos arrived in Tampa with plenty of hype. But he got off to a slow start, scoring just twice in his first 21 games. He struggled under Lightning coach Barry Melrose, at one point seeing as little as six minutes of ice time. He just didn’t look ready for NHL action. And within weeks, according to Larry Brooks of the NY Post, the Lightning had decided to trade him. According to Sather, the deal was done and sealed with a handshake. The problem: That handshake was with Lightning co-owner Len Barrie. When general manager Brian Lawton found out about the discussion, he wanted no part of the deal. Barrie still wanted to go forward, according to the report, but co-owner Oren Koules refused, and the deal died. Melrose was fired, Stamkos was a 50-goal scorer by his second year in the league, and the rest is history. This is the only bit of insider information I have ever been privy to... If Columbus hadn't drafted Dubois, the Oilers were going to trade the 4th pick and Taylor Hall to Montreal for their 1st rounder and PK Subban. Instead, the Jackets went off the board and made both general managers make far worse trades.